What is the South Asian Academy of Management? The South Asian Academy of Management (SAAM) is a professional association for scholars dedicated to creating and disseminating knowledge about management and organizations in South Asia. This includes information about the South Asian diaspora in both the northen and southern hemispheres. South Asia is the southern region of the Asian continent which comprises the sub-Himalayan countries and some adjoining countries. With a population exceeding 1.6 billion, South Asia is home to almost one fourth of the world’s population, making it both the most populous and most densely populated geographical region in the world. 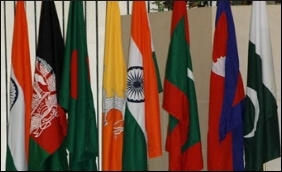 The South Asian Association for Regional Cooperation (SAARC) is an economic cooperation organization of eight countries in South Asia comprising eight countries, i.e., Afghanistan, Bangladesh, Bhutan, Maldives, Nepal, Pakistan, India and Sri Lanka. A Working Group is currently responsible for establishing and operating the association. SAAM is designed to encourage management research, education and knowledge dissemination that are of relevance to management in South Asia. SAAM is a global organization that welcomes both ethnic South Asian and non-ethnic South Asian researchers and managers who are interested in management issues relevant to South Asia. Our members include management researchers and practitioners based in South Asia, members of the South Asian diaspora spread across the globe as well as non-ethnic South Asian researchers and managers interested in management issued relevant to South Asia. SAAM’s members are scholars at colleges, universities, and research institutions, as well as practitioners with scholarly interests from business, government, and not-for-profit organizations. Membership in SAAM is open to all individuals who find value in belonging. Membership in SAAM is open to all individuals who find value in belonging. Membership includes: a quarterly newsletter, South Asian Academy of Management News, a choice of affiliation with two divisions or interest groups of SAAM, and job placement service. SAAM’s central mission is to enhance the profession of management by advancing the scholarship of management and enriching the professional development of its members. SAAM’s membership consists of scholars at colleges, universities, and research institutions, as well as practitioners with scholarly interests from business, government, and not-for-profit organizations. SAAM is committed to shaping the future of management research and education. Management is defined broadly to encompass all processes, structures, and behaviors that are related to the work of organizations, as well as the dynamics of industries, economies, cultures, and other environmental forces that affect organizations and their employees. Develop and communicate high-quality research, practice and teaching of management. Advocate and cultivate ethical and responsible behavior throughout all activities related to research, teaching, and practice. Provide a supportive and dynamic community for members from all institutional settings, societies, and cultures to share and learn from each other. Encourage and respect multiple perspectives from members throughout the world in the development and practice of management knowledge. Build cooperative relationships and networks with other associations and institutions committed to advancing the scholarship and practice of management. Guided by SAAM’s mission, objectives, themes, and organization, we have identified seven major areas of service provided to members. 1. Conference – Each year we will hold an academic conference or symposium consisting of a variety of important activities, ranging from workshops to paper presentations and job placement interviews. It will provide an occasion for members from South Asia and around the world to come together to build and renew professional and social relationships. We will hold these scholarly meetings separately or in conjunction with AOM, AMRC and other international events. 2. Career Services – We make available to members and universities information and resources for facilitating the job placement of all members, from those just beginning their careers to those who are more established in the profession. 3. Journals and Other Publications – We are affiliated with a high quality journal related to management issues and discipline in South Asia, i.e., South Asian Journal of Business Studies. In addition, our regular emails / newsletters contain news, events, and activities of SAAM. 4. Website – We anticipate that the website will become richer and act as an increasingly important hub for providing member services and networking activities. 5. External Relations – SAAM seeks to collaborate with other professional associations in two ways: (a) relationships with associated societies including AOM, BAM, EURAM, ANZAM, and (b) relationships with affiliated groups that have a much closer working relationship with SAAM. 6. Governance – SAAM’s governance process and organizational structure supports the mission and facilitate the strategic direction. 7. New Services and Member Feedback – SAAM continually seeks to improve the range and quality of its service delivery beyond the main activities listed above. n Academy of Management. The mission of SAJGBR is to advance theoretical and empirical knowledge of business issues facing multinational and local organizations of South Asia and South Asian diaspora. SAJGBR is committed to providing a unifi ed platform to publish research that links scholarly communities in South Asia with the rest of the world. The journalis open to all empirical methods including qualitative, quantitative and mixed approaches. To be published in SAJGBR, a manuscript must use one or more South Asian countries as the context of its study. SAJBS is available as part of an online subscription to the Emerald Regional Management Studies Subject Collection. For more information, please email collections@emeraldinsight.com.